The U.S. legal system allows people to file lawsuits in civil court to seek redress, usually money, for physical or emotional injuries. In criminal cases, the question is whether the person accused of a crime is guilty. However, in civil court, the question is whether the actions of the person being sued caused some sort of damage to the person who filed the suit. The person who files the suit is known as the plaintiff. The person he is suing is the defendant. Each can hire a lawyer to represent him. Download a civil complaint form from the Missouri state court system's website. If you have a complaint against a Missouri resident, business or law and you live in Missouri, you must file your complaint in the county where at least one of the defendants lives. 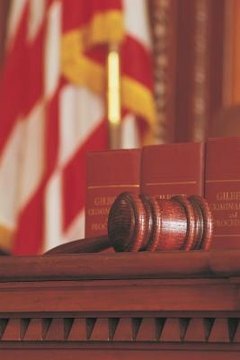 You can file a lawsuit in federal court if the case involves several defendants but only one lives in Missouri. Complete the form pertaining to your legal situation. The website offers forms regarding appeals, executions, garnishments, judgments and paternity cases. Pay a filing or service fee if required. Call the local circuit court clerk's office if you have questions about fees and court rule procedures. Tamara Harrell has been writing since 2006. She is a writer and copy editor for "Vision Magazine", a church publication with a monthly circulation of more than 10,000. Harrell is pursuing a Bachelor of Science in business administration at the University of Maryland University College (UMUC). Harrell, Tamara. "How to File a Civil Suit in Missouri." , https://legalbeagle.com/8463136-file-civil-suit-missouri.html. Accessed 24 April 2019.